… gathers memories, impressions, and opinions of alumni, friends, stakeholders, and donors about Akron’s hometown college since its achievement of state status, the third phase of its transformation from Buchtel College and the municipal university. A celebratory collection rather than a chronicle, it gives voice to those who worked and studied here, to the sportsfans and concertgoers, the taxpayers and the angels, the employers of graduates and the vendors of goods and services. Instead of the authority of a single narrative, it offers the range of a panorama and the variety of a collage. It is a grassroots report. 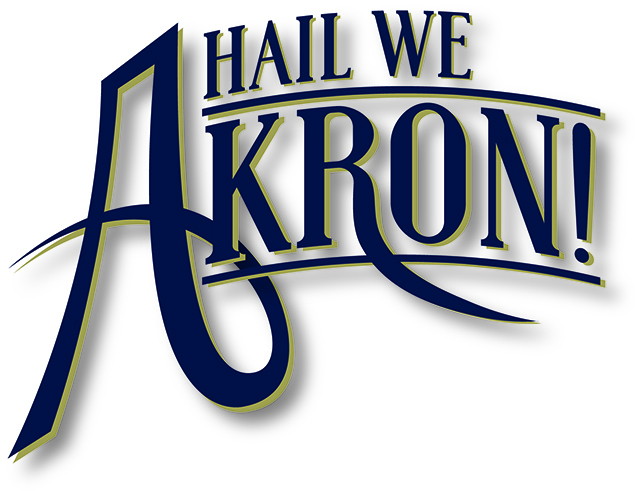 Submit to Hail We Akron! Upload your stories and pictures and we might use them in one of our books or on one of our web pages! Compiled and edited by Mark Auburn, ’67, Vic Fleischer, Kevin Kern, Janice Troutman, and others. To be published by The University of Akron Press, 2020.